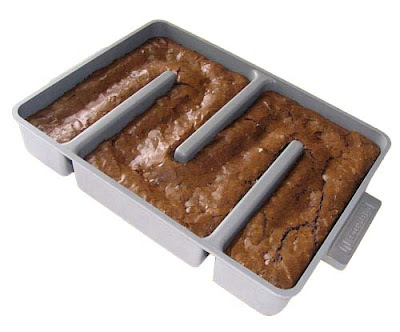 ThinkGeek :: All Edges Brownie Pan: "Perfect chewy, moist brownies are now within our reach thanks to the All Edges Brownie Pan! This is the end of dry edges and uncooked centers." That could be the most brilliant invention yet! How in the world did I not come up with that?